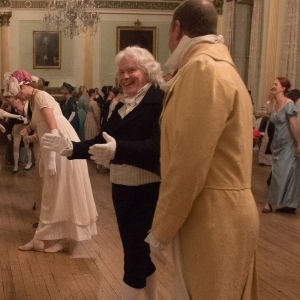 You are cordially invited to join this informal and fun evening of Regency dancing in the glorious 18th Century Banqueting Room at the Guildhall. Dances will be called by dance mistress Toni Warner accompanied by the Fortuna Trio. No dancing experience necessary as full instructions will be given. Dress code is smart, evening or Regency costume. Light nibbles and liquid refreshments included. Browse the Event archive. Event Category: Ball. Bookmark the permalink.